Sadly, Marmalade, our gorgeous buff Orpington hen went to the great chicken coop in the sky in November 2013 after she became ill (we think she may have eaten part of a firework which caused an obstruction in her tummy). 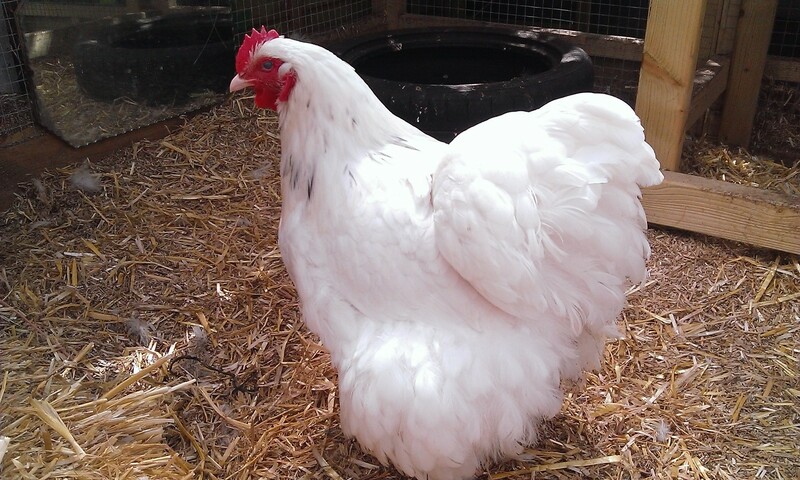 Missy, our Sussex hen, was on her own for several months last year as it was the wrong time of year to get hold of any pure breed point-of-lay hens. She was a bit lonely and anxious to begin with but, I was surprised to find, soon got used to being on her own and would just hang out with us a bit more when we were in the garden. 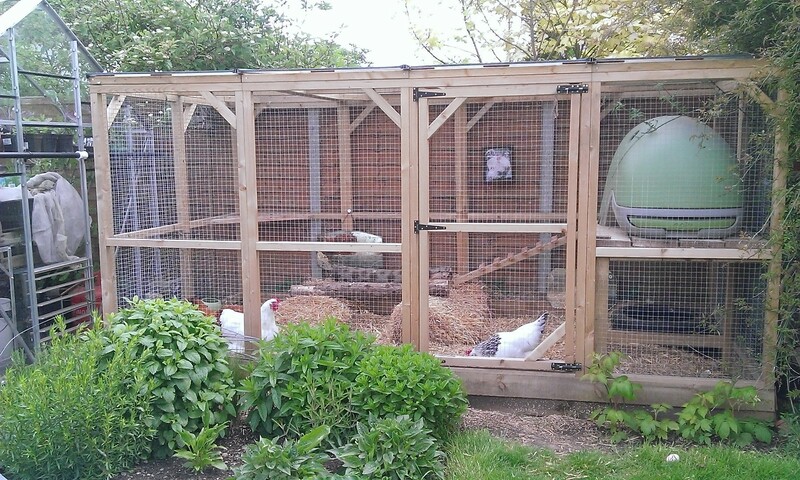 But eventually, after Doug built a new wooden coop, we got two more Orpington hens from a breeder in Maldon (Orpingtons are big girls so they needed more space than the old egglu run could provide…). It was nice to welcome two new Essex girls to the fold and they didn’t seem to object too much to their move to Hertfordshire. After some careful introductions, all three girls have been getting along nicely and Missy – after her initial outrage – has been enjoying having two new hens to boss around. We’ve kept hens for nine years now and this is about our fourth little community of them, I think, (you can still read about our first – and famous – hens, Thelma and Louise in the Financial Times here) so this time we were a little lacking in imagination when it came to names. 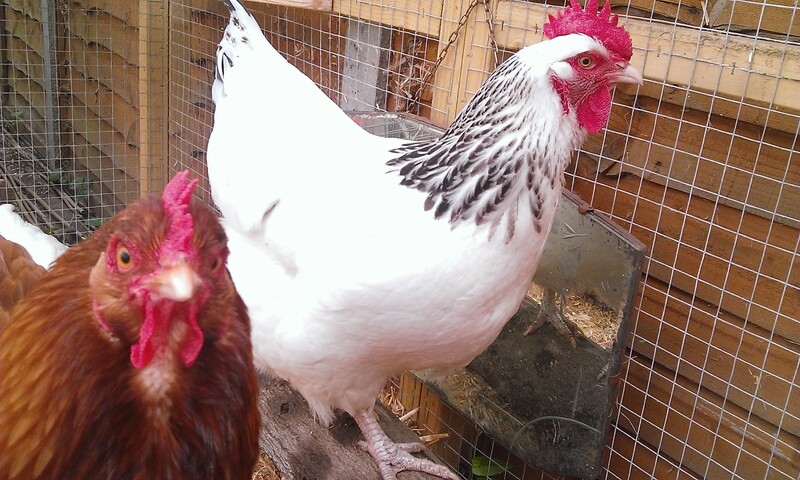 The pretty red hen is… er…called Red, while the flamboyant white hen Doug named Lady Gaga. But while the new girls were point-of-lay, laying eggs seemed to be the last thing on their minds as we went into autumn and winter and then spring arrived. True, Orpingtons aren’t known for being strong layers, but we worried that we’d made the nice new hen coop, complete with hay bales, ladders and even a tasty Orpington cockerel pin-up pic on the wall, too comfortable. Occasionally I’d whisper into the hen house at night, “You know, ladies, this isn’t a holiday camp…”. But all to no avail. 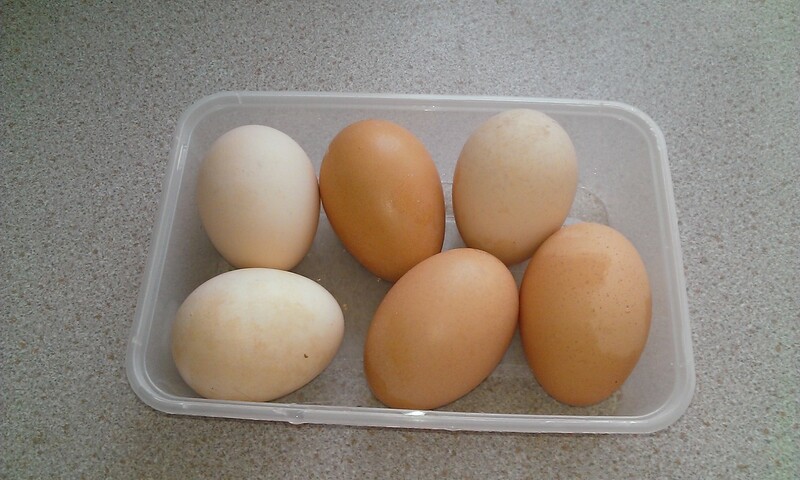 With all the shock of the new girls arriving Missy, of course, had also given up laying so we were having to buy in our eggs. We are grateful but to be honest we are really struggling to keep up with production. Even if we manage a day of eating four eggs between us, as Doug points out, we’ve only made inroads of minus one for the day. Let’s just say, I’ve been making a lot of Spanish omelettes (4 eggs, yay!) lately. Fortunately, a friend is coming round later to relieve us of some. All I can say is thank goodness for the food swap, which is coming up in a couple of weeks! 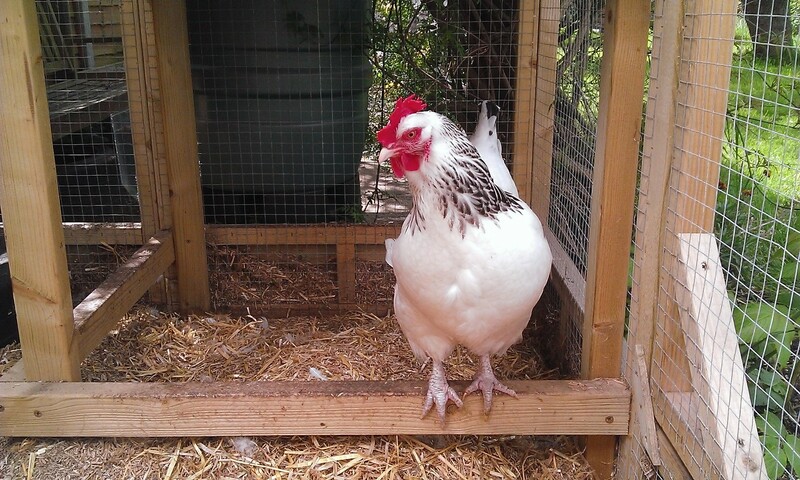 This entry was posted in Food from the garden and tagged freerange eggs, Keeping chickens. Bookmark the permalink. Why not freeze the extras for when the girls decide to take a vacation and go to the spa. Just crack them into a dish and slightly scramble with a fork before putting into a container to freeze: ice cube trays work wonderfully. True, you can’t dunk these eggs but otherwise you are all set.